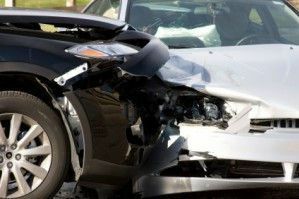 Know What To Do After An Auto Accident in Michigan? Our auto accident attorneys at Buckfire & Buckfire, P.C. know that being in a Michigan car accident can be a frightening experience whether you were injuried or not. There are several things that you should do to protect your legal rights and to make sure that you are complying with the requirements of your insurance company. After any car accident, it is best to either call the police to the scene of the crash or go to the police station within twenty-four hours after the accident to make a written report. This documents your version of the accident and is usually required to make an insurance claim. If your car was damaged in the accident, you will want to take photographs of the damage. If possible, you should also photograph both vehicles at the accident location if they were not moved so that the positions of the vehicle can be evaluated later on if there is an issue as to who was at fault for the accident. If possible, take some photographs of the damage to the other automobile. This may be needed to make your property damage claim to your auto insurance company. Police usually obtain the names and phone numbers of eyewitnesses to the accident. However, many times an eyewitness will stop by and leave before the police arrive. If possible, you should obtain the identity and contact information of the eyewitnesss. If anything, at least get the license plate numbers of anyone who stopped to assist after the crash. If you were injured, you should discuss all of your injuries to the emergency medical service technicians at the scene of the accident. If you go to the hospital by yourself, it is important that you mention every ache and pain to the emergency room physician so it is documented in your medical chart. If you do not go to the hospital after the accident but follow up with a doctor in the days after the accident, it is important that you have all of your complaints noted in your medical records. This will document your complaints to medical providers for accident related injuries. If you suffered accident related injuries, you should also file an Application for No-Fault Benefits with your own insurance company. The company will send you the form to fill out. This must be filed within one year after the accident, but you will want to file it as soon as possible. Under Michigan law, your own auto insurance company will have to pay your medical expenses, lost wages, household service benefits, and other expenses. Make sure to send the form back into the insurance company. This form is required even if you were an injured passenger, pedestrian, or bicyclist. You may also have a personal injury claim against the negligent driver that caused your injuries. These claims are for pain and suffering compensation and result in money settlements. Our law firm has a tremendous track record of substantial settlements in these cases. If you were in a car accident in Michigan and would like free legal advice on what to do after the accident, call our experienced legal team today at (800) 606-1717 for a free, no obligation case review. You will have a conversation with an award winning lawyer who will explain your rights to you and make sure that you have done everything necessary to protect your rights. If we can assist you with your case, we do not charge any legal fees until you receive a settlement and we pay all case costs and expenses. Call us today!